Thank you, Barnes & Noble! 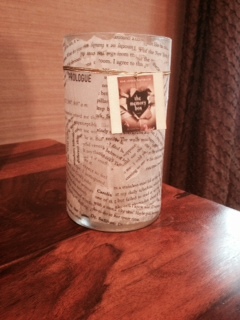 This absolutely beautiful votive candle was hand-crafted by the most incredible fans of The Memory Box. They used their favorite pages from the book, copied them onto translucent paper and decoupaged them onto the glass. I have the most wonderful readers in the world!! Thank you Page Turners Book Club, you rock! 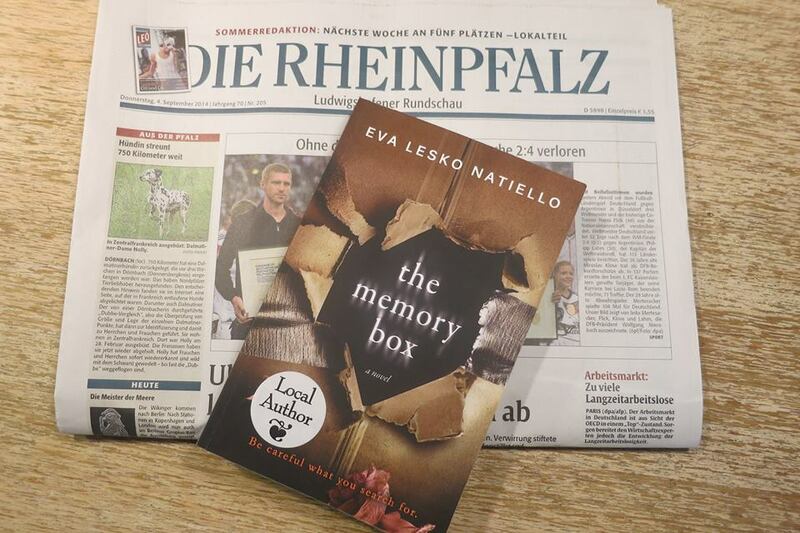 Here’s THE MEMORY BOX in Germany! Thanks for the photo, Stefanie! 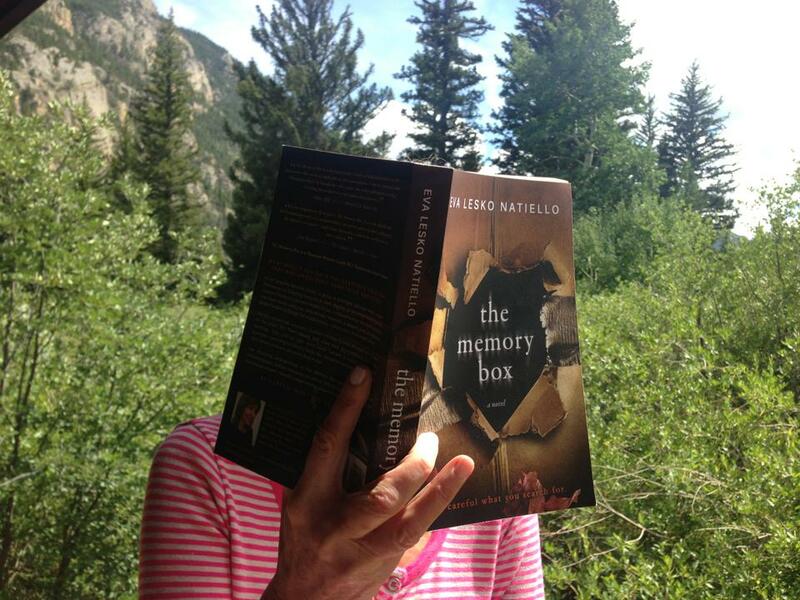 Here is THE MEMORY BOX in the Colorado mountains! Thanks for the photo, Anne! 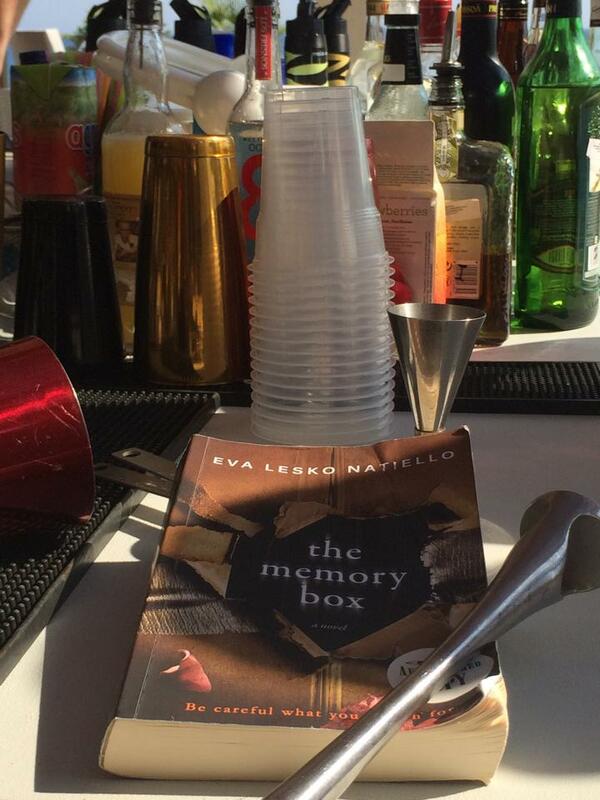 Here is THE MEMORY BOX in Greece! At the bar… The reader told me when she finished reading it, she needed a drink! Thanks for the photo, Anthe! 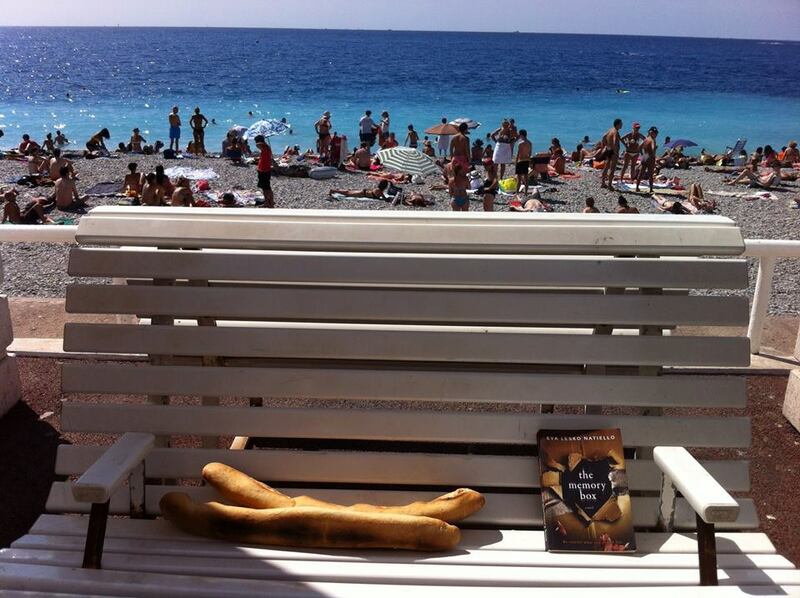 Here is a photo of THE MEMORY BOX in Nice, France! How Nice is that! Thanks, for the photo, Terese! 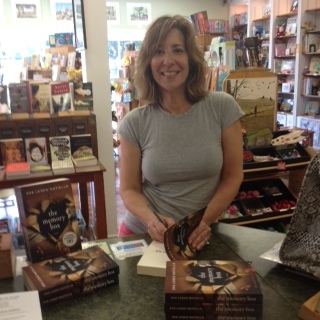 This is me signing copies of THE MEMORY BOX at The Town Bookstore. Don’t I look happy? 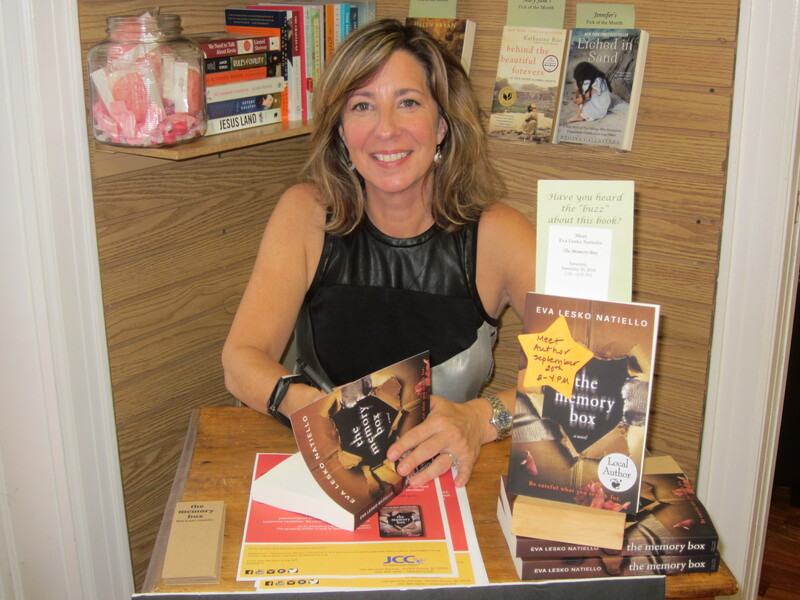 The Town Book Store sold out two shipments of books in six days! WOOT! WOOT! Is it in your local bookstore? If not, ask for it! THE MEMORY BOX in now available on Amazon for Kindle and paperback and on Barnes & Noble in paperback. It is also coming to a indie bookstore near you. If you don’t see it in your favorite bookstore, ask for it. Any bookstore has the ability to order it, so all you need to do is ask! Just read the unputdownable The Memory Box! Where’s your next book??? Thanks so much for reading The Memory Box and for reaching out. I am currently working on my next book, thanks for asking! More on that soon . . .